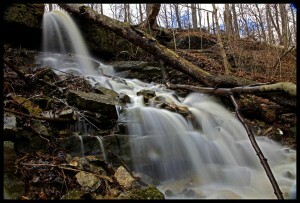 McNeilly Falls is a Complex Ribbon Cascade with a total height of 12 metres (39 feet) and a crest width of 2 metres (6 feet). 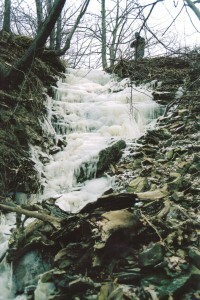 Its source of water is the roadside ditches of McNeilly Road at the top of the escarpment and farmers’ fields. 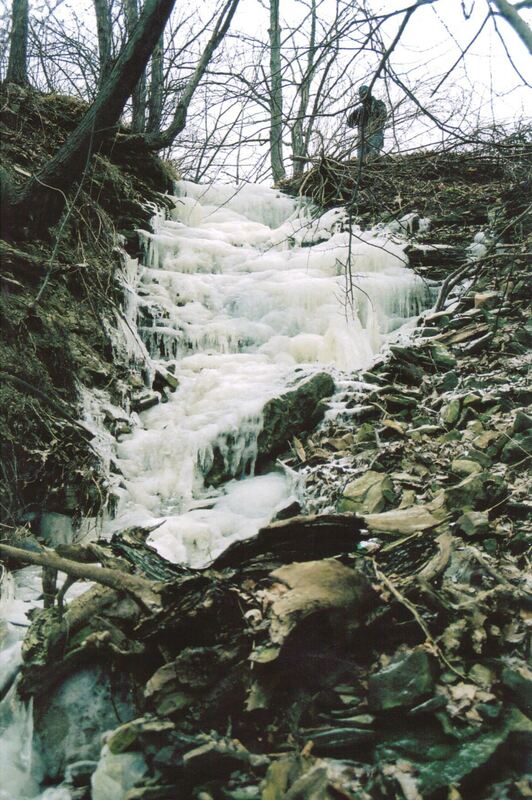 It experiences its strongest flow during seasonal rainfalls and after the winter snow melt. 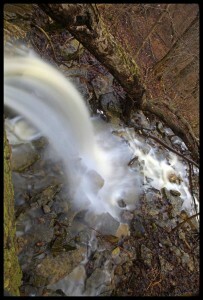 McNeilly Falls was “discovered” by Joe Hollick in 2006. 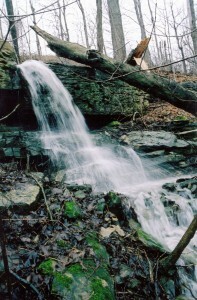 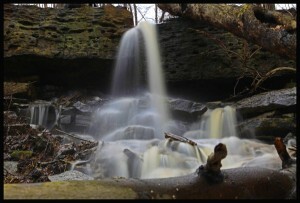 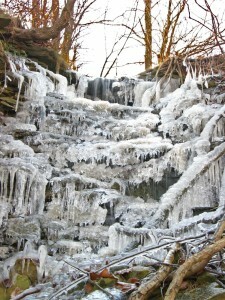 It is featured on the 2008 poster “Waterfalls of Hamilton Spring”. 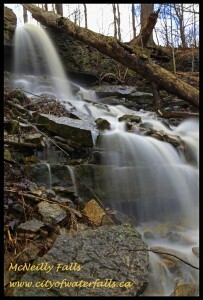 McNeilly Falls is located almost adjacent to McNeilly Road at the hairpin turn. To view the waterfall from the top, walk across McNeilly Road, cross the ditch to the west of the roadway and walk to the escarpment. 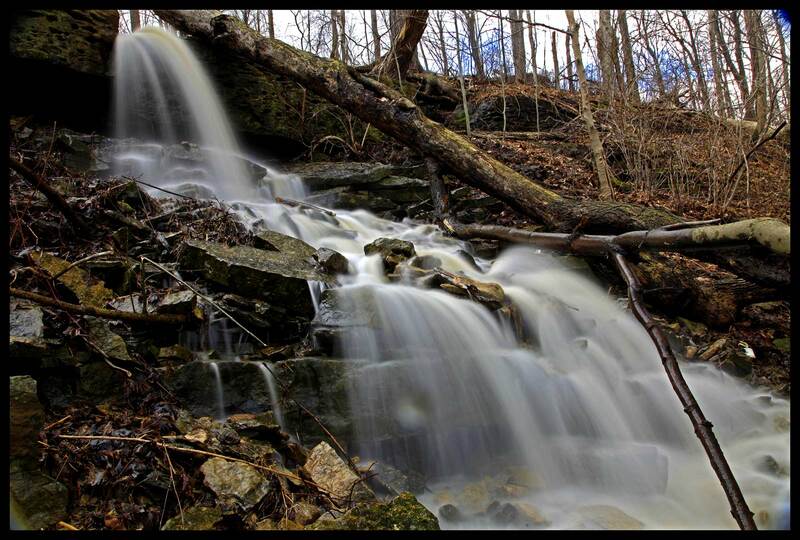 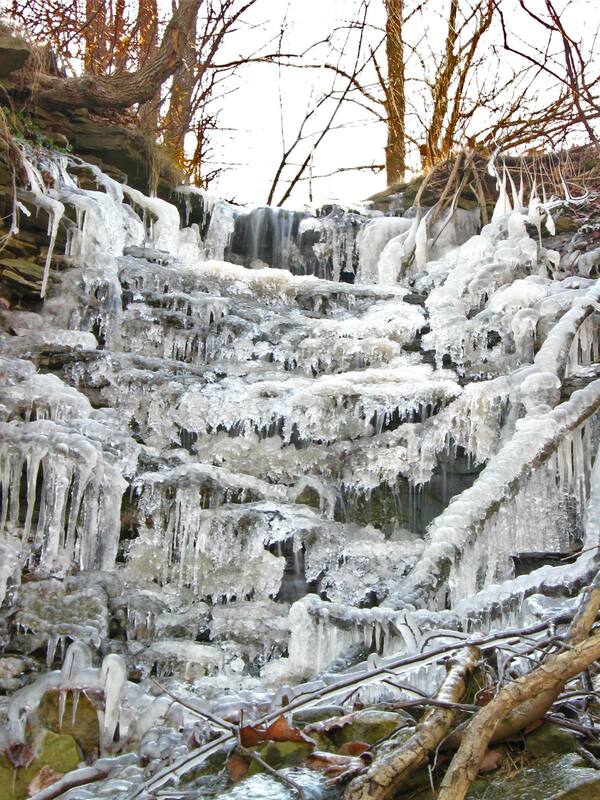 To view the waterfall from the bottom, you can either climb down the escarpment at this location, or when you have parked your vehicle, carefully walk down McNeilly Road to the Bruce Trail. Follow the Bruce Trail west of McNeilly Road and follow the first ravine upwards to McNeilly Falls.